Embraer Executive Jets will display a complete Legacy 450 cabin and cockpit for the first time at the NBAA Convention in Orlando, FL, next week. While the mockup will be at Embraer Executive Jet’s booth at the convention center, the Company’s entire portfolio of in-production business aircraft will be at the static display at Orlando Executive Airport. A public unveiling of the mockup will be held at 10 am at the company’s booth on October 30. 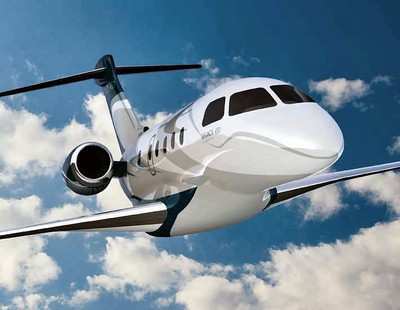 In addition to the entry-level Phenom 100 and light Phenom 300, the large Legacy 650 and the ultra-large Lineage 1000, Embraer Executive Jets will also be showing a Pre-Flown, super-midsize Legacy 600.